Who knew spelling could be so much fun? For children who enjoy spelling, a spelling bee is to them as football or baseball is to children who enjoy sports. 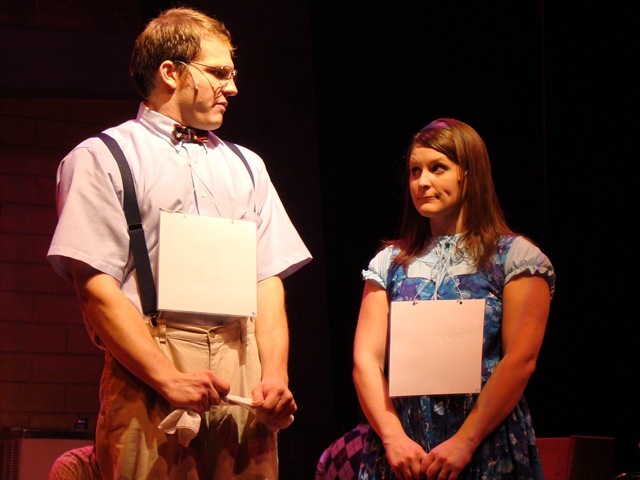 In Metropolis Performing Arts Center’s production of The 25th Annual Putnam Spelling Bee, based on the original play C-R-E-P-U-S-C-U-L-E by The Farm, children of various backgrounds and school districts to come together for one goal: to win the bee and move on to nationals in Washington D.C. The set, designed by Adam L. Veness, boosts clean, simple lines and looks high quality and authentic. The stage is transformed into a school gym complete with basketball court, bleachers and a climbing rope. School colors are yellow and purple, reflected in the lighting by Yousif Mohamed, which adds depth to the set. The 25th Annual Putnam Spelling Bee opens strong, with the entire cast exuding energy right from the start. 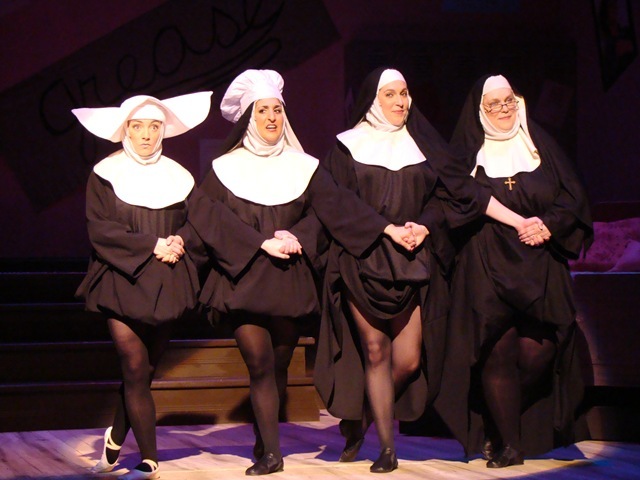 Each character brings their own strength to the stage with a catchy and upbeat opening number. This play also calls for audience interaction, which not only bring the audience into the story, but also allows for audience members to experience what it’s like to be on the opposite end of theatre. All the audience members who participated did a good job and added some extra laughs to this already funny show. As the Bee begins, it becomes clear that each actor worked hard to develop a unique characterization. Logainne Schwartzandgrubernierre (Justine Klein) is sweetly adorable with her lisp. As the show goes on, it becomes clear that under that demeanor is a lot of pressure and expectation to live up to. Klein does an excellent job of rounding out her character and providing multiple layers to keep her character from falling flat. Olive Ostrovsky (Kristine Burdi) has a wonderful childlike innocence and she’s so eager to participate. Burdi has a rockin’ voice that’s on full display in “The I Love You Song,” which also allows her to show the pain Olive is in beneath her cheerful front. As the Bee goes on, the students prove to be terrific spellers, spelling a random selection of words, as they offer glimpses into their personal lives. Returning Bee champ Chip Tolentino (Ryan Hunt) gets knocked off his horse when a crush on a girl deters his mind and he misspells a word, disqualifying him from nationals. Hunt offers up strong, stellar vocals and is hilarious as he sings about the troubles of teenage boys and puberty in “Chip’s Lament.” Leaf Coneybear (Patrick Tierney) tells about his large family and where he fits in their grand scheme of things in “I’m Not That Smart.” Tierney clearly explored his character’s background and motivations, which come through in his performance. He’s fascinatingly endearing as we witness his winning spelling technique: he falls into a trance, and the letters just come. James Nedrud is spot on with know-it-all William Barfee. Nedrud plays his character acting older than he is and trying to be very serious, which is just hilarious. 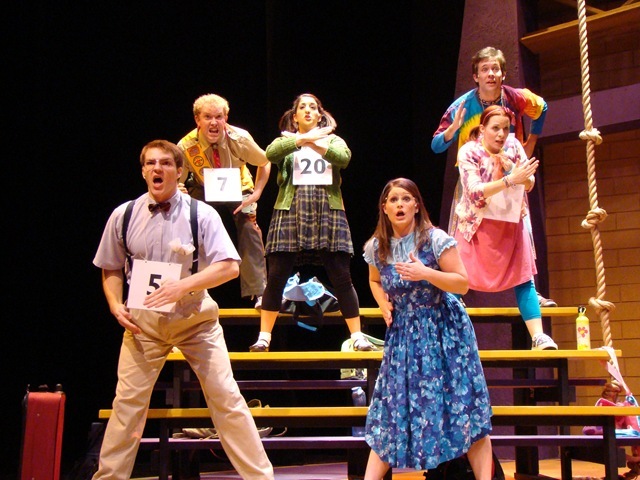 Throughout The 25th Annual Putnam Spelling Bee, the entire cast keeps up their energy level, keeping the show running smoothly along and the audience engaged. 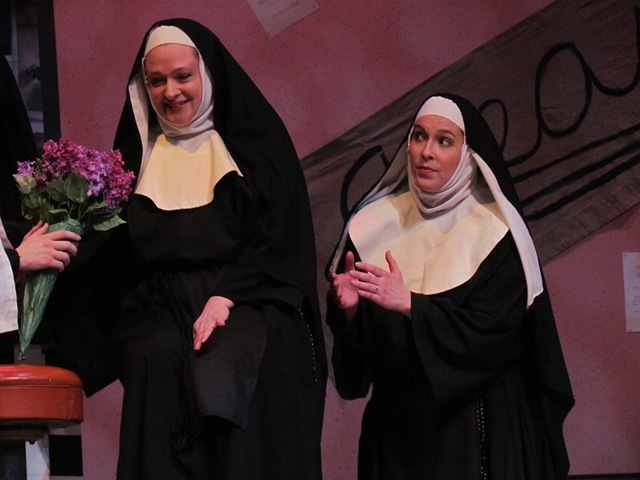 The musical numbers are high energy and feature excellent choreography by Kristen Gurbach Jacobson. What is most impressive is that the singing never suffers during the dancing. 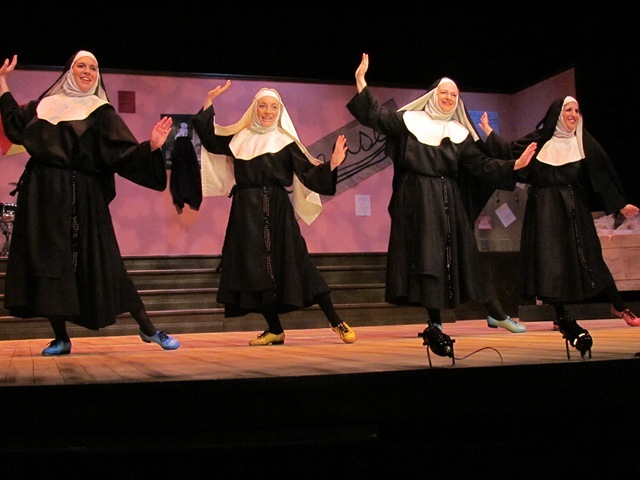 The actors are able to continue singing strongly and passionately as they dance around the stage. At a few points the singing fell out of tune, but it never took away from the enthusiasm and enjoyment of the show. The 25th Annual Putnam Spelling Bee is a children’s show for adults that leaves the audience laughing as they cheer on the Bee contestants. 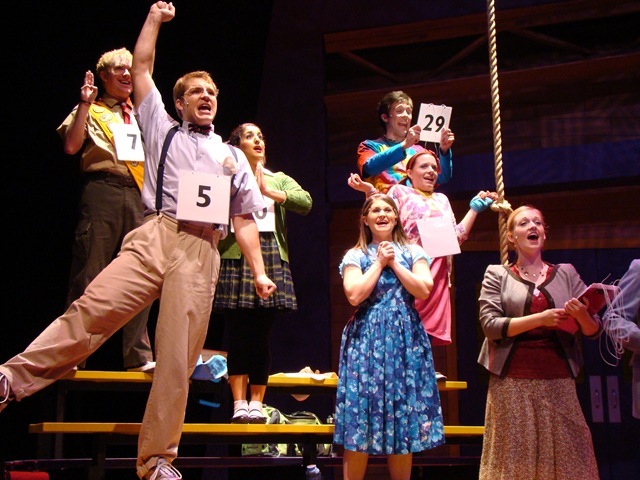 The 25th Annual Putnam Spelling Bee plays at Metropolis Performing Arts Center, 111 W. Campbell St., Arlington Heights, IL, through November 6. 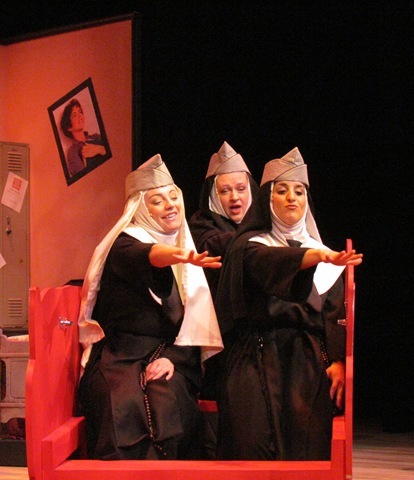 Tickets cost $35 to $43 can be purchased through the theatre’s Web site.